Hello dwellers of the internet, it’s Friday, October 7th and we’re back with a fresh coverage of everything that happened in tech this week. This week’s news covers Google’s hardware event on October 4th, which includes Google’s take on hardware with the new Pixel phones, the future of AI and Google Assistant, launch of the Google Home, upgrade to the Chromecast, launch of the new Google Wifi, Daydream VR, Daydream View headset and much more. So let’s get started. Google wasn’t much into hardware, each year it partnered with OEMs to showcase the latest release of Android with the most minimal appear possible. You bet I’m talking about the Nexus line-up. For years the Nexus line of devices showcased what Google intended with Android, they somehow transitioned from a developer-centric phone to a consumer-centric phone. And this year Google stepped up its game completely, by killing the Nexus brand and moving on with the Pixel. Pixel is Google going neck deep into the hardware territory. Although this year’s phones have been made by HTC, Google is taking full credit for the devices including the design. The Pixel comes in 2 sizes, a smaller 5-inch device, and the larger 5.5-inch Pixel XL. They have the same hardware, the differentiator is the screen real estate. They’re packed with a Qualcomm Snapdragon 821 SoC, 4 gigs of RAM (LPDDR4 to be specific) a 12 MP camera that’s supposedly the best on the market with a DXO Mark rating of 89 and a battery along with fast charging to last all day. The Pixel comes with an onboard storage of either 32GB or 128GB. Unlike the Nexus devices, though, the Pixel starts off at a premium price of $649, this clearly indicates where Google is headed on the hardware realm. With a price point so high it’s a direct challenge to Apple and their iPhone. 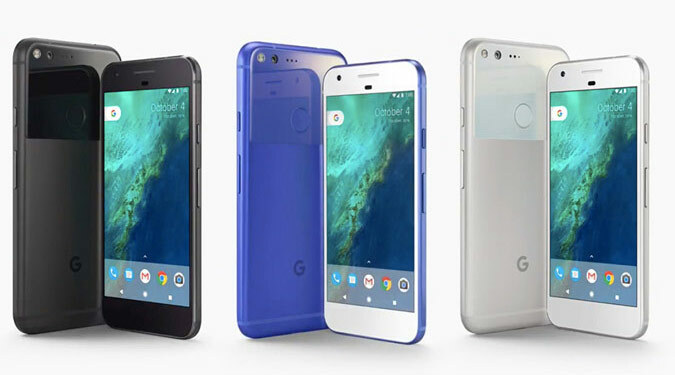 The Pixel comes in three colors, Very Silver, Quite Black and a limited edition, US exclusive Really Blue. Back in May during the Google I/O 2016, Google showcased the future of AI and smart contextual assistance through the Google Assistant. It’s not just another app it’s like a person knowing about you, living on your phone. It’s capable of providing proactive information, relevant to your context, in a much more human-centered way. When Google showcased the Assistant, it was showcased on the Google Allo chat application and along with the Google Home. But during the #madebygoogle event, they baked it right into the Pixel and its part of the whole experience. You tap the home button on the navbar to invoke the Assistant and you can now have a full fledged two-way dialogue. While they did announce at I/O assistant will be open to all devices running Nougat but it seems things have changed since. 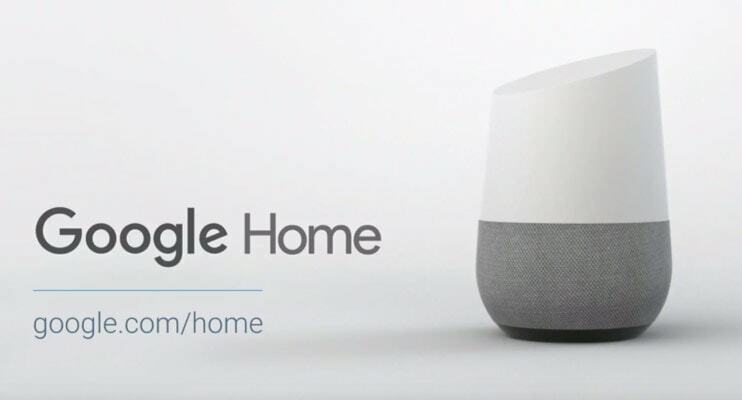 During Google I/O 2016 Google showcased Home, a wifi connected speaker, with the power of Google Search built in. It was clear that Google was trying to beat Amazon Echo with this hardware. The difference then and now is Google didn’t announce how third party software could integrate with Home but on October, Google announced that they will be releasing SDK integrations for Home early 2017. Meanwhile what caught the limelight was the fact that Google Home would ship November 4th at price tag of a $129. Google has packed home with all its search smarts including a new feature called my day which basically briefs you up about your daily schedule. At launch, Google Home will work alongside a number of partners like iHeartRadio, Pandora, Spotify etc. The decide comes with interchangeable bases for all the aesthetics fans out there. Chromecast has been the most popular streaming device there is. It plugs into your existing television set and allows you to stream content right from your smartphone /tablet. Chromecast has been doing really well for the time its been out and Google had updated the product design with a vibrant set of color options and a new design which allows it to get connected easily to the TV. This year they’ve updated the streaming device both with regards to feature and price. The new Chromecast (Chromecast Ultra ) supports 4K streaming along with ethernet port and support for HDR video. All these spec bumps hike the price of the Chromecast to $69. Is it worth the upgrade? Well for all you folks with a 4K screen and some cash to shed, it’s worth the price. Google did a pretty good job with OnHub built in collaboration with TP-Link and Asus, it’s smart and it delivers what it claims. But Wifi fanatics have alway looked for a device which lets them achieve connectivity zen. 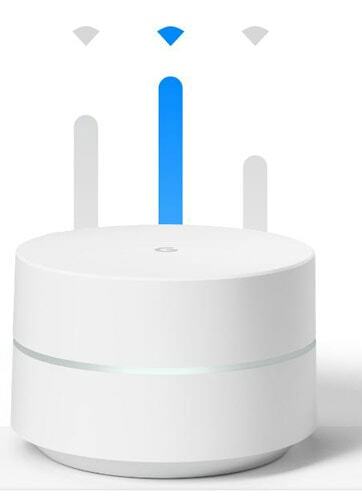 For all you monks looking for the same, tread no further, Google WiFi is here to blanket your home in Wifi for less than $129. The device is about the size of two hockey pucks stacked together and boy does it look elegant. It’s the closest competitor to Eero, another piece of hardware which tries to do the same thing. The device as a single unit for $129 while a set of three will set you back $399. The device comes with Network Assist. Network Assist will offer suggestions on how to optimize performance, like where to move a Google Wifi point for faster speeds or providing data so you can adjust your ISP plan. It’s expected to ship later this year. VR is exploding. 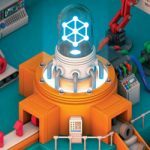 With companies like Facebook, Samsung, and Google investing in it’s essentially going to be the next major computing platform. 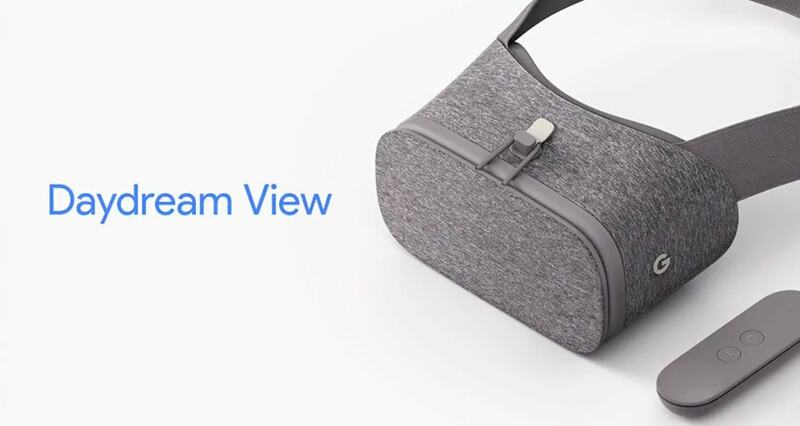 During I/O, Google showcased Daydream, a platform for consuming VR content and during this week’s launch, they finally opened it up for people to get hooked. The Pixel devices are the first to be tagged as Daydream compatible and now they even have a headset and controller for Daydream. Aptly named Daydream View the headset comes at a sweet price of $79 and is built using soft clothing material to reduce the weight. The device ships later this year. I have used a smartphone produced by Google for a few months, and I got that at first everything is so fast! Later on, it was slow and slow! Well, the post is quite educational. But, I am most excited about the Google Pixel basically, because of its camera, which is considered by Google as the best. Reports even say its better than iPhone 7’s camera. Hi Vatsal, Google products have a huge impact on major people. Google Showcases the future of AI with the Google Assistant on the Pixel . I like it . It is useful. Google has taken a big step with this launch. There are many new products which are going to rock. The Google WiFi will be so helpful. The new range of the phones would do better in the mobile market. The list of the products is yet to be discovered. Great list indeed. This post is most beneficial. Everyone is excited about the Google Pixel. It has the most useful feature. The camera of Google Pixel is better then iPhone 7’s . Google has taken a big step by launching this. There are many products which are going to rock in the world. All the new products by the Google have the great as well as beneficial impact on the people. Google vs Apple. Google pixel will really cut the market of iPhone 7.